Vintage Shadows: "This Gun for Hire"
Warning: This review features minor spoilers of the Denis Lehane novel Sacred. If you're working your way through the Kenzie and Gennaro novels, don't read this I guess. 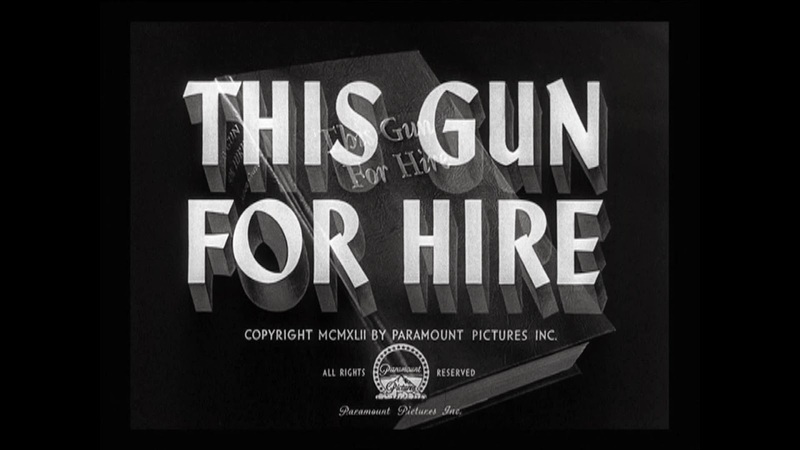 Today's film is the 1942 feature "This Gun for Hire." It's directed by Frank Tuttle, and written by Albert Maltz and W.R. Burnett, based on a novel by Graham Greene. It stars Alan Ladd and Veronica Lake, whom you might know from "The Blue Dahlia", released four years later. 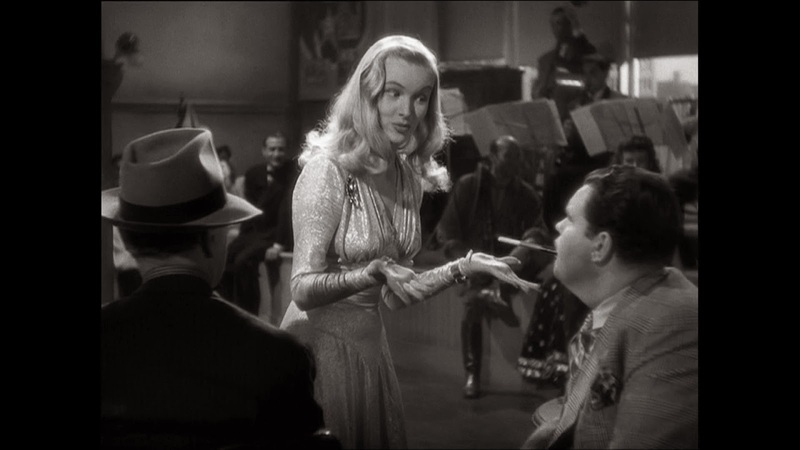 (The Blue Dahlia is actually one of my favourite noirs ever). It's a complex tale with lots of betrayal and political intrigue. So let's dive in, shall we? 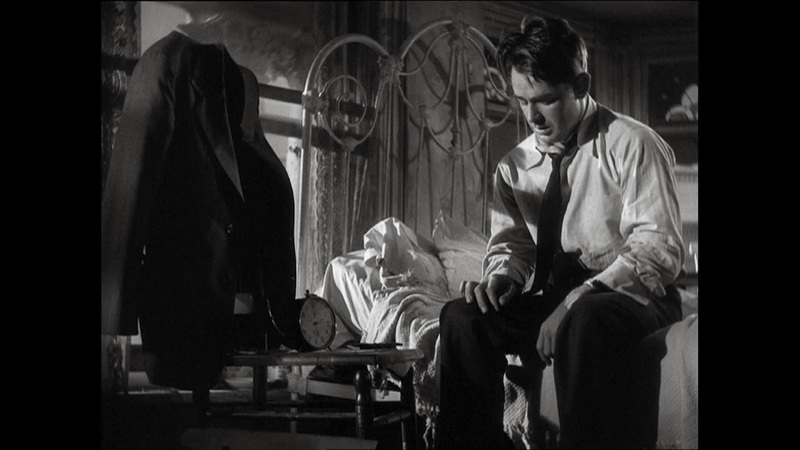 The film opens with hard-boiled hitman Raven, played by Alan Ladd waking up in his room. It's established immediately that there is a duality to his character, gentle and aggressive sides, as he is shown caring for a cat and attacking his cleaning lady (in fairness to him, she was being mean to the kitty). Raven kills a man, true to the mercenary nature of the title of the film, recovering some sort of chemical formula or something from him. 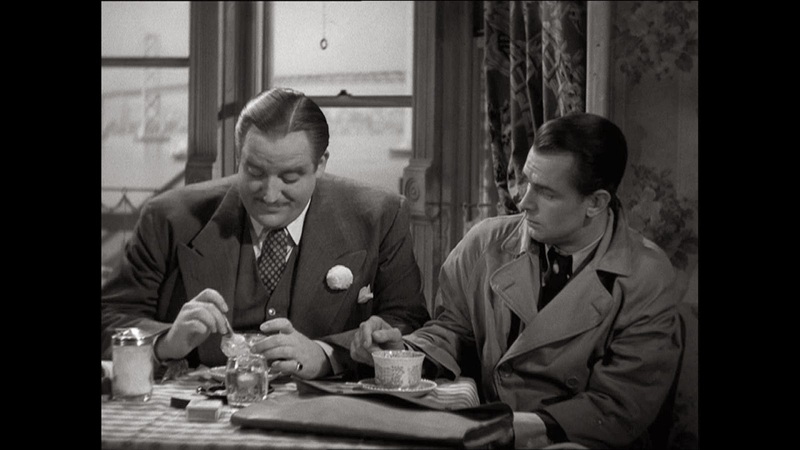 He receives payment from his boss, amiable fat person Willard Gates, played by Laird Cregar. 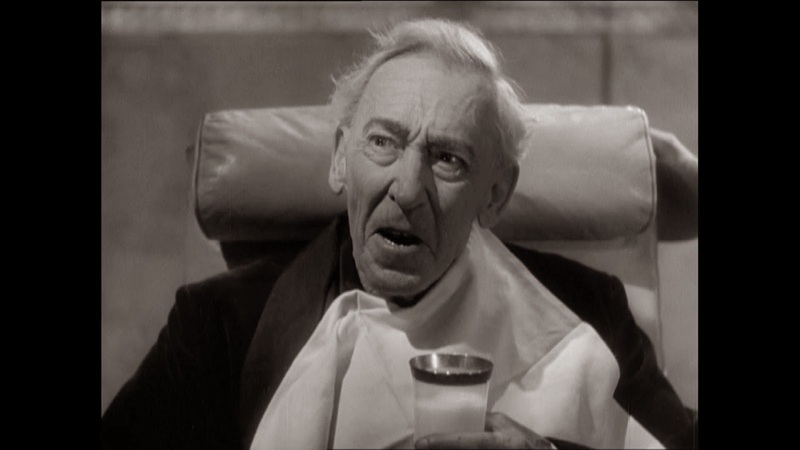 Cregar is shown as a man who enjoys excess; he consumes ice cream at an incredible rate. He is also bit of a backstabber, paying Raven in marked bills and reporting them stolen to the police. Raven must elude a city wide manhunt on his quest to get to the bottom of the case, which has far reaching political implications. Helping him on his quest is Ellen Graham (played by Veronica Lake), which is ironic, as she is the girlfriend of Michael Crane (played by Robert Preston), the police detective assigned to the case. She possibly has canonical magic powers, as I can't figure out some of the illusions she performs in her job as nightclub entertainer. Through various occurrences, the two end up matching their wits against the police, Ellen at first motivated by Raven's revolver at her back, but later out of sympathy. The movie uses the standard noir trope of the evil old rich guy, as seen in such works as the Dennis Lehane novel Sacred. His name is Alvin Brewster, owner of evil chemical company Nitro. He believes his money can get him out of every situation, and denounces those that don't believe in the power of currency "fools." This movie principally explores two themes which it interrelates: death and justice. Adrian Brewster seems poised to get away with his shenanigans unless someone stops him. Ellen urges Raven to obtain a written confession from Brewster, believing that the legal system will produce justice. Raven, of course, has his own ideas of what justice entails. So this film is political, though not as politically subversive as say, "The Sweet Smell of Success". Its politics are fully fictional, and it deals in fairly conventional patriotic morality. (Foreign governments are evil, etc.) With that in mind, if you want an interesting plot with some tense situations and nicely realized characters, this is worth a watch. Best line: "Who trusts anybody? ", Alan Ladd asks pointedly.